Appalachian Trail south of Kent, Connecticut. I don’t often shoot straight into a dense forest but this scene had so much going on I thought I’d give it a try. 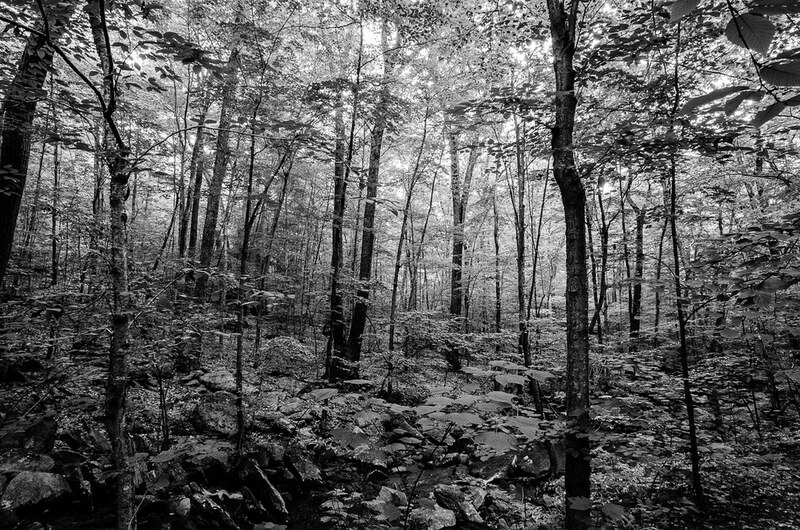 This is the forest right near Thayer Brook which the Appalachian Trail crosses south of Rt. 341 and Kent, Connecticut. Many times this place (it also has large tulip trees that I like to photograph) is my final destination but this day I continued down to Bull’s Bridge, hiking the entire eight miles of Schaghticoke Ridge which is a tough hike. Given that my truck was up at the start of my hike on Rt. 341 and I was on my own, I had to text my wife to pick me up and drive me back to my truck. Good thing she was home and available, otherwise it would have been a long day. Thank you Vincent. I’m delighted you and others like it. Thanks for stopping by. Great photo of the great forest along Thayer Brook, Richard! Brings back such good memories of hiking there with you and photographing those magnificent tulip trees. Thanks Gary, its a magical place although it’s not so easy to capture the magic in a photograph. Every once in a while we get a lock on it. That looks a grand place Richard, one I’d be happy exploring, your shot conveys the majesty of that location stripped bare of colour makes the most of the subject. I think you’d love it there Martin, lots of opportunities for minimalism in a backdrop of dense forest. Thanks.